Insurers commonly observe a large shortfall between the total losses caused by a catastrophe, such as an earthquake or flood, and the amount that is actually compensated by insurance. The difference is referred to as a ‘protection gap’ — a gap where insurance could have helped, but wasn’t used or wasn’t available. The gap is not only confined to property: today, billions of people are either uninsured or underinsured for health risks. Swiss Re is working to close this protection gap, too. In 2014, an outbreak of Ebola virus in West Africa claimed thousands of lives and caused widespread disruption mainly in Guinea, Liberia, and Sierra Leone. The epidemic also left many survivors with severe post-recovery symptoms, including pain and neurological issues. The crisis exposed how ill-prepared the world is to respond to deadly disease outbreaks. Sadly, pandemic risk is only rising due to population growth, increased mobility and environmental and climate change. This is a dangerous and global health protection gap where we are putting our knowledge and expertise to work. Swiss Re has teamed up with the World Bank and other partners to design an innovative insurance vehicle which is expected to use both reinsurance and capital markets tools to help mobilise funds during a disease outbreak. The Pandemic Emergency Financing Facility (PEF) is designed to guarantee swift access to funds for pre-approved international responders, such as emergency task forces, to accelerate intervention, help save lives and reduce costs to countries. The PEF is scheduled to pay when an outbreak meets a predetermined threshold, such as the number of deaths or infections in a given time. This will allow funds to reach affected countries in as little as ten days, avoiding lengthy contractual delays and other bureaucratic hurdles. In this way, the PEF is intended to prevent a potentially serious outbreak from becoming a larger international crisis. By putting a price on pandemic risk and by making funding more predictable, the PEF is expected to change how we respond to similar threats in the future, increasing accountability and efficiency and contributing to a more resilient world. Other health gaps build incrementally, such as those caused by a growing share of older people in our population. The working age group is shrinking and states will struggle to cope with the financial strain of a reduced work force, eventually pushing the risk to the insurance industry. To do our part, we are looking at innovative ways to care for seniors, increase adoption of healthier lifestyles and, in the long run, encourage healthy ageing. This year we invested in a share of wearable and digital health company Biovotion Ltd., which created a platform to collect and analyse data through a wireless, button-less wearable device worn around the upper arm. The medical-grade tool currently measures a number of health indicators, including heart rate, blood oxygenation, skin temperature, skin blood perfusion and motion, and it is poised to measure a slew of other metrics like blood glucose and sleep levels. The goal is to help predict and monitor health events, improving health and saving medical costs. In a world increasingly ruled by data and constant streams of information, individuals can self-monitor their lifestyles. Our sector, and especially life and health insurers, is seizing the opportunity to better cover and protect policyholders. However, health underwriting today remains laborious and bureaucratic. It relies heavily on forms, tests, and consumer input. 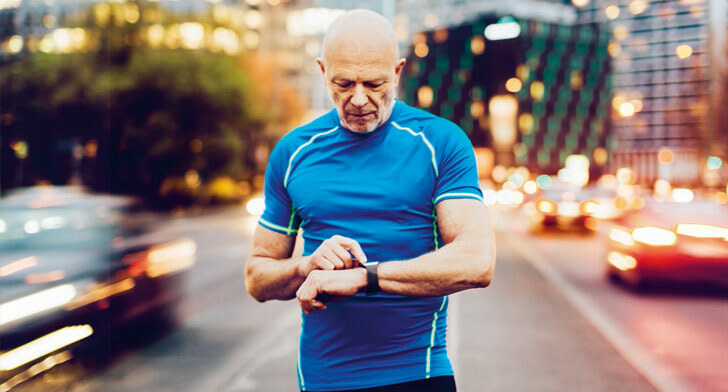 With the next generation of wearables, we expect to be able to streamline the process through automation, even if the majority of trackers are still limited in their accuracy. The devices may be capable of monitoring blood sugar levels and interpreting vital signs to anticipate a cardiac event, for example. Implanted smart health devices are not many years off — at which point the payoff for insurers and their customers will be even higher. Continuous health care: embedded devices will help consumers monitor an ever-increasing set of health-related variables.